Jerry & Lorraine Laufman welcome you to Lincoln Hearing Clinic conveniently located in Beamsville in the heart of Niagara – where we care passionately about the hearing health of our clients. Jerry is a hearing 'geek'. After many years as a musician and sound engineer, touring with a North American rock band, he switched careers and became an Audiologist. Jerry's background in sound engineering helps him understand sound differently than other Audiologists – and helps him to help you with more accuracy. You'll love the results. Lorraine runs the daily operations of the clinic and is the 'mama bear' of Lincoln Hearing. She'll look after you starting with the first phone call and every step of the way. Lorraine's experience also includes ListenUp! Canada and Olsen hearing Aid Services, as well as many years as a Customer Service Manager, so she knows her stuff. Rachel is our Hearing Instrument Specialist and is a member in good standing at A.H.I.P. Her background includes an undergraduate degree in Speech and Language Sciences from Brock University and a Hearing Instrument Specialist diploma from Conestoga College. 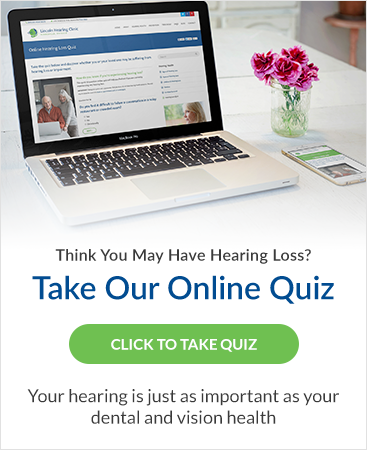 We know you have a choice when it comes to hearing health – and at Lincoln Hearing, we want you to know that you will get the very best care possible. Sometimes it's hard to know exactly what you should be looking for in a care provider, particularly when it comes to hearing loss. We invite you contact us with any questions you have – we'll take as much time as you need to ensure you feel comfortable.